This Swiss brand wants to give aficionados of fine timepieces something to talk about. WHEN the folks behind Swiss watch brand Cimier meet and talk about their product, time hardly figures in the conversation. Instead, like clockwork, they repeat words like history, design, craftsmanship, quality, branding, value, synergy and passion. One of them even brings psychology into the narrative. “People don’t buy a watch to tell the time. For most it’s a kind of accessory,” says Richard E. Zinkiewicz, director of finance and administration of QI Ltd, an arm of QI Group, which owns Cimier. Before that “journey” can even begin, thousands of steps have to be taken, from the conception of the watch to its design, production, marketing and sale. The Cimier team had gathered at BASELWORLD in Switzerland in March, where the brand was among about 2,000 exhibitors at the annual World Watch and Jewellery Show. Like the springs of his mechanical pieces, Cimier managing director Martin Bartsch was all wound up during the eight-day event. Understandably so, seeing that “orders this year are 20% more than in 2009”. Russian interest in the brand has grown markedly in the last three years, he reveals. Cimier – which he bought over in 2003, and which was then acquired by Hong Kong-based, Malaysian-owned Qi Group in 2006 (see Brand history) – has 85 outlets in Russia, compared with 12 in Switzerland and eight in Germany. 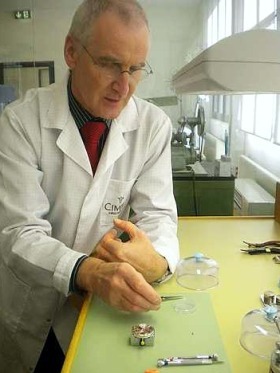 Master watchmaker Martin Eugster feels that a good watch must be able to ‘take a person somewhere’. Bartsch, who worked for many years in the watch industry, said he took on the brand because the entrepreneur in him saw a challenge in relaunching Cimier with its own designs. Gaining a bigger share of an established market requires a major investment, in terms of time and emotion. “You need to go out to other markets, train distributors, give support to retailers and get feedback from customers,” he says. That takes time; for now, he is “happy to grow step by step” – for example, having a bigger and nicer booth at Basel this year. Cimier opened its first flagship store in Zurich, Switzerland, last October. The brand entered Japan three-and-a-half years ago and is now looking at possible outlets in Hong Kong, Singapore, Bangkok or Kuala Lumpur. Asian clients are very demanding when it comes to product quality and aesthetics, Bartsch notes. Finding the right candidate is a boon: two years ago, he approached Eugster to hop on board as head of production and after-sales service. Like the watches he meticulously produces at Cimier’s atelier in Baar, Central Switzerland, Eugster’s passion for the business ticks quietly, but unceasingly. Patience and a steady hand are also prerequisites for a master watchmaker. “It’s delicate, manual work,” says Eugster, who is entrusted with putting all the minute parts of a watch together, and ensuring that it works. Precisely, that involves about 120 parts for a simple mechanical watch. Or, when fixing a dial, 150 chronological steps. Creating a new design with movement entails five years of painstaking work. 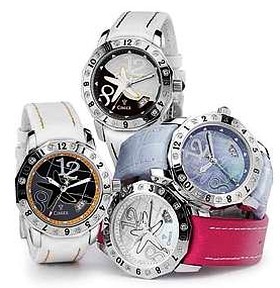 Eugster made the prototype for the first batch of Cimier watches shown at Basel in 2004. He joined the company in 2008, after three decades of running his own retail store, selling and repairing watches. The value of a handcrafted piece is proportionate to the work that goes into it, thus, “you have to add value to a watch” – like adding a name or an individual script on the back of the case – “and give people something to talk about”. Watch trends was a common talking point at Baselworld. Eugster says, from personal observation, they go in cycles, much like fashion, with old trends making a comeback every 25 to 30 years. Currently, the look harks back to classics from the 1970s, with three-hand designs popular once again. Quality, hand-made watches will continue to benchmark classic choices. What will change is the use of new materials, Eugster says. With silicium technology, watchmakers can produce new metals and construct new forms. “The philosophy of watchmaking is never about the technique. It’s about the dream,” he adds. It would not be amiss to link this dream component to owning a watch brand. Datuk Vijay Eswaran, executive chairman of QI Group, looked at various labels before deciding on Cimier, he says at an interview in his Petaling Jaya office. A personal commitment to a medium where craftsmanship speaks for itself probably had a hand in the pact, too. “I want to convey the message that we can produce world-class watches. Being a Malaysian company does not exclude us from this,” Vijay says.